Living Between Sickness and Health: Where Is the Human Genome Leading Us? In recent years, much research has been done on genetic links to disease risk and development. The human genome contains thousands of SNPs or single nucleotide polymorphisms. These SNPs account for much of the variance between people; therefore, it makes sense that the SNPs could also reveal the variance in health between people. 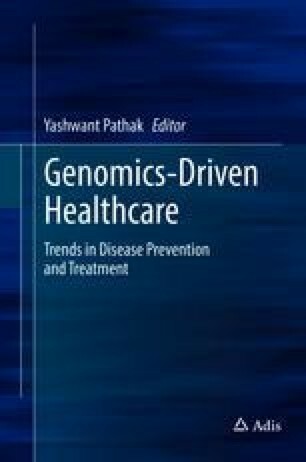 This chapter delves into common diseases that appear later in life and potential genetic risk factors for the diseases. Recent research has created ties between genome polymorphisms and cancer, cardiovascular health, and mental health. Identification of the polymorphisms could lead to a future of personalized medicine, where a patient’s genome would be used to assess risk of illness and prevent complications to the fullest extent. In some disease states, such as breast cancer, genomic research is already being used clinically to identify women at high risk of development. In other disease states, research is only just beginning to identify genetic loci that could be responsible for development. This chapter is meant to answer the following question: how much of our health can we control, and what role does genetic variation play in disease development?